Looks like you didn't add some text or an image? That's ok, you don't have to but we're just checking that's correct. 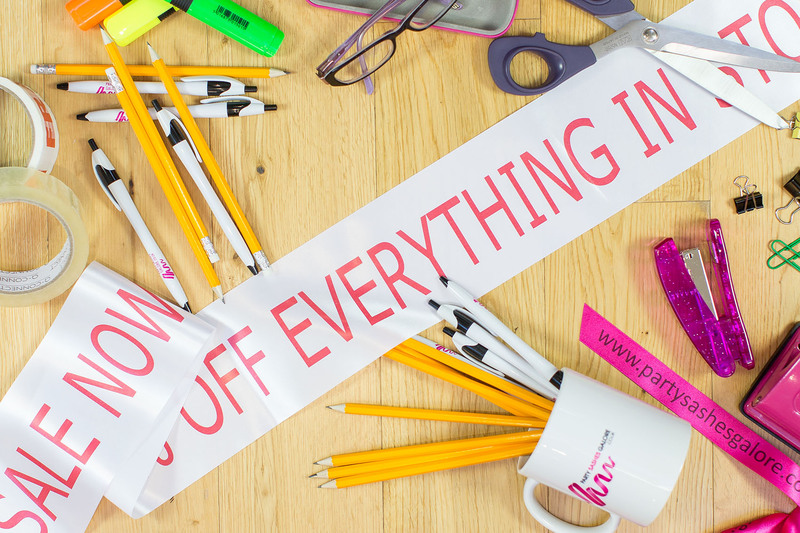 To go back and edit click "Close and Edit" or if your happy your done click "Add to basket"
Party Sashes Galore allows you to personalise your ribbons, sashes and banners to offer maximum impact for your corporate event, announcements, celebrations and promotional events. Make your personalised announcement in style! Party Sashes Galore are UK specialists in making your event a memorable one. We are here to help you personalise for ANY occasion and provide a stunning range of superb quality custom made satin sashes, banners and ribbons JUST FOR YOU to create a lasting impression. Become a designer and create a funky, stylish, quirky, professional or corporate feel to your event. 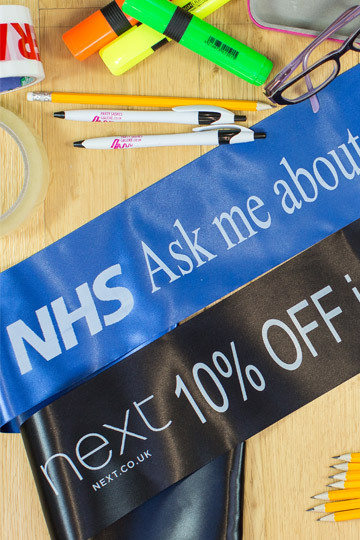 Personalised corporate and promotional sashes, banners and ribbons are designed by you to make sure that your company gets noticed. Sashes are a fantastic solution for any corporate or promotional event providing a great form of advertising with high impact. 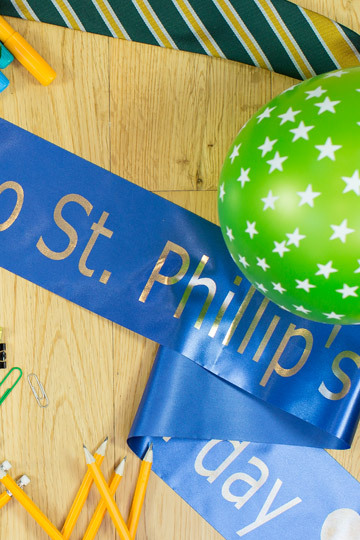 With Party Sashes Galore you can create that perfect finishing touch for every occasion. You can customise your ribbons using our personalisation tool and see what your ribbon will look like before buying. Change ribbon colours, text and images until you are happy with your design. Personalised sashes are 10cm wide and approximately 85cm front and back for an adult’s size and 70 cm front and back for a child’s fit. A velcro fastening is provided so that you can attach to your sash for a perfect fit. You can choose to personalise both the front and back of your sash at no extra cost. You can add an image or logo FREE of charge. All images are printed in the same colour as your chosen font on high quality satin sash ribbon. Your text will appear exactly how you have entered it on the sash creator. The image will be added to the start and end of the text on both the front and back of the sash if required. If you are ordering more than 10 sashes which are exactly the same in design and colours your sash will automatically be reduce to £3.75 per sash at checkout. Why not create a statement piece by decorating you party venue with outstanding personalised banners? Each banner is 1m in length and you can select the quantity that you require to make your party look amazing. Personalised banners provide that finishing touch to your room making the host feel extra special. Design your ribbon in 1m lengths and order exactly the amount that you require to wrap your gift. Select from 2 sizes of beautiful satin 15mm and 25mm widths, in a wide selection of print colours and ribbons. 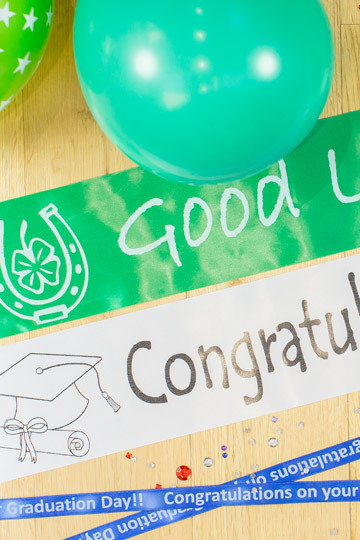 Get your personalised message across by designing bespoke and unique printed ribbons. Party Sashes Galore allows you to design your ribbon for the perfect gift wrapping experience. If you have more detailed requirements, please do not hesitate to let us know in the additional notes section at checkout. If you are interested in ordering a larger quantity of sashes, please contact us on 0161 798 6245 for our special discounted rates. > How big are they? > Can I upload my company logo? > Can I add a photograph to my sash/banner?